I was recently asked to design a t-shirt for this church up in upstate NY. 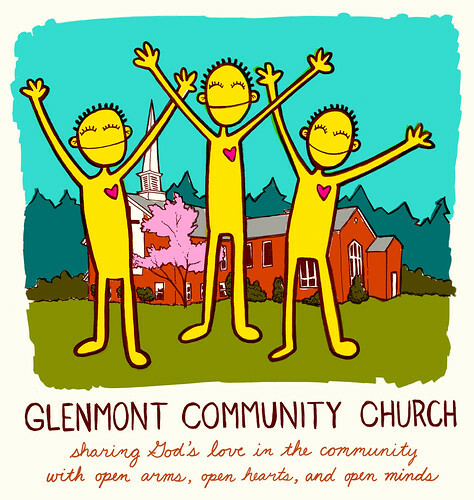 The pastor there had seen my bulletin covers that I did for Greenpoint Reformed Church and really liked them so wanted me to do a t-shirt for them in that vein. Here's what we finally decided on. It will be printed on a cream colored shirt (hence the cream background). I'll try to get photos of the actual shirts once they get them.